Damn you, shoe shops, and your sinister attraction! Lure me in with the promise of a summer sale, then seduce me with your new collection. 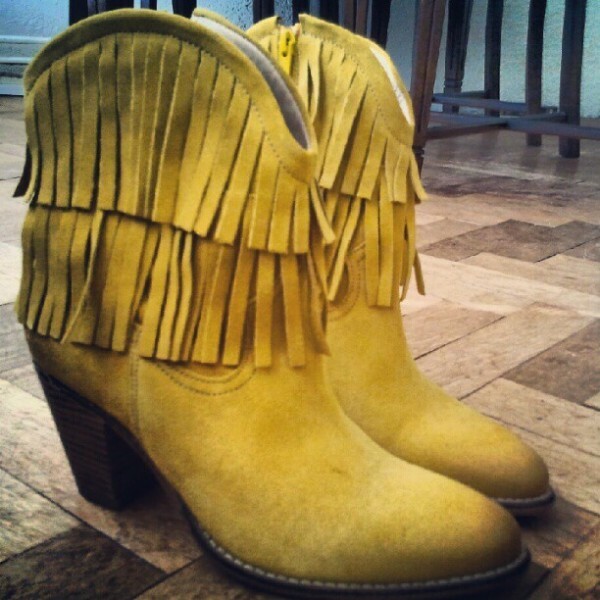 What chance did I have against these suede, sunflower yellow, fringed ankleboots with Spanish heels? It's not humanly possible, no.